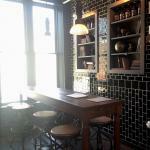 The view upstairs, where you can drink and dine along the mezzanine. Since being abandoned in the 1980s, the former home of St. Paul’s Evangelical Church suffered serious structural damage, as decades of neglect are wont to do. But being right around the corner from Washington Park meant it was destined to see another life, and in 2010 the city and 3CDC put up the cash needed to stabilize the 1850s-era structure. Fast forward to now, and the wisdom of that choice is clear. 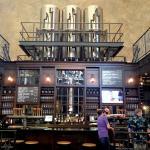 Because the once-crumbling (then long-scaffolded) church is now the site of a different kind of glory and praise, one aimed at Cincinnati’s other ancestral object of adoration: beer! Taft’s Ale House has made its home—a three-story, three-bar, full-kitchen, no-detail-ignored, 13,000-square-foot brew-pub home—in the space. 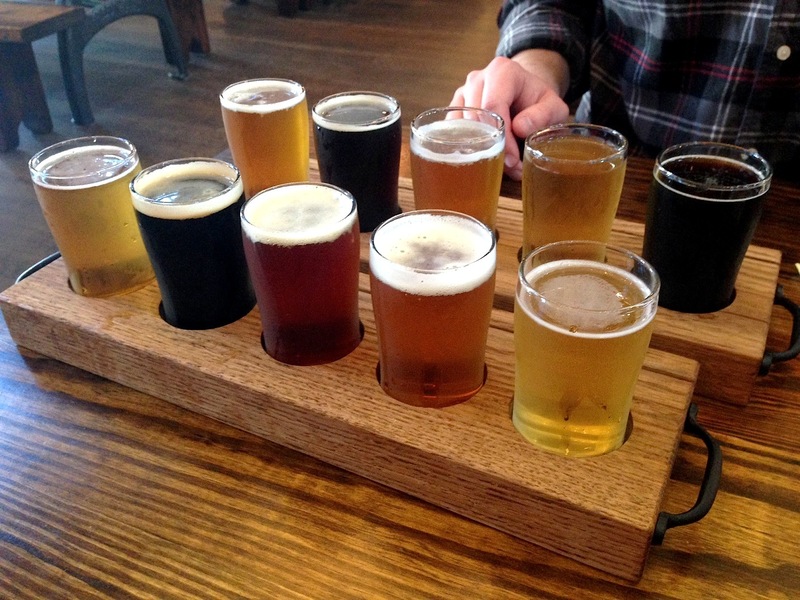 The essentials: The beer is consistently good, and it’s a well-rounded selection of 10. You only go for dark beer? All about the hops? Either way, you’ve got choices, friend. Better news: It’s $5 for a flight—of five pours. Sorry, Cyclones: Here it’s dollar beer night every night. And at $5 for a pint, you’re really not going wrong no matter how you order. If you need help with that first flight, here’s our top-five lineup: First Pitch (a dry-hopped pale ale), Mooly Wooly (a coffee milk stout made with locally roasted beans, and light-bodied enough for warm weather), Gavel Banger (a super-hoppy American IPA), Nellie’s Key Lime Caribbean Ale (a crisp wheat—but not too wheat-ey—beer brewed with key lime juice and coriander), and the Saison de Paulus (a dry, spicy farmhouse ale). If you’re looking for something sweet, the Maverick Chocolate porter gives new meaning to “drinking chocolate.” It’s also used in their bread pudding (and considering one of our editors said “I’d pour that on pancakes” after trying the beer, this is right on as far as we’re concerned)—so try them together. Same goes for the smoked wings: They’re marinated in Nellie’s Key Lime and pair well with the ale. Which brings us to food. If you try only one thing on the menu, make it something with their tri-tip steak. It’s aged, rubbed, charred, smoked, and prepared in-house, and it’s damn good. It’s also available multiple ways—we can attest to its tastiness in slider and sandwich form. 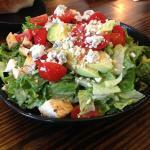 The salads are filling, fresh, and they don’t skimp on the flavor. And the menu goes on. Plus: If you want to stop in after a day in the park but have little ones in tow, check out their kids menu. The “little steak sandwich” is both tasty and adorable. 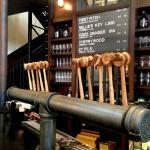 Justice (and your beer) is served: the gavel tap handles are made from the church’s original stairs. The main bar at the end of the picnic table–filled beer hall..
Off the main room, one of several different seating areas. And, um, all that light. 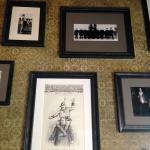 A wall of Taft memorabilia—and an example of the attention to detail. 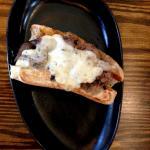 The Border sandwich has some kick: tri-tip steak, melted pepper jack cheese, and a chipotle sauce. The Chicken and Avocado salad, with honey-lime dressing. 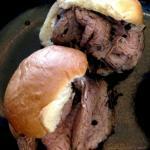 Slide on home—$3 each, the tri-tip sliders are served with au jus and horseradish. After appreciating the craft that comes from the kegs and kitchen, check out the craft that went into the space: architectural guidance from Drawing Dept., hand-painted front signage from Ink & Hammer Mfg. 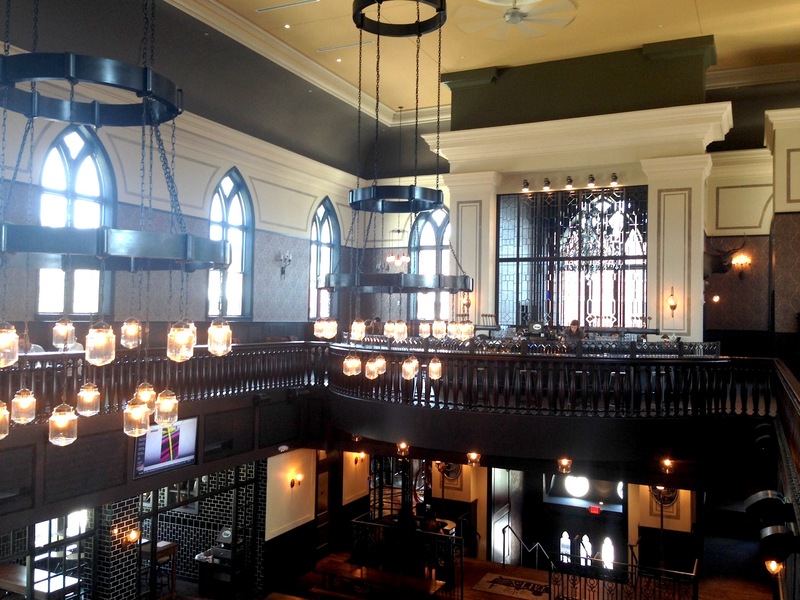 Co., gavel-shaped tap handles created from the church’s original stairs, dark wood and tile, soaring ceilings, and huge windows for natural light to pour through (score one for day drinking). Walk up the front stairs into the large beer hall–style tap room, and ascend from there if you’re looking for a more polished, private kind of dining experience in the mezzanine—the full menu is available in both (as are mixed drinks). Or stick to street level: The downstairs lounge area—Nellie’s Tap Room—also features beer from other breweries and is mixing up craft cocktails. Starting Monday, they’ll have wine too. We’re all about finding justifications for drinking, and this pub being named in honor of our homegrown 27th president (and his wife, Nellie, so cheers to equality) seems as good as any. Just don’t end up in a bathtub at the end of the night.